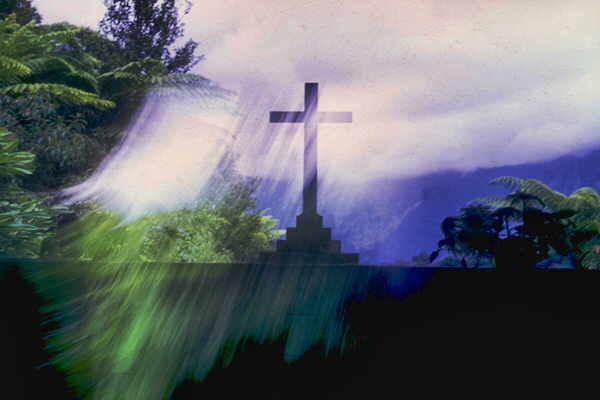 As God, the Holy Spirit has existed through all eternity. 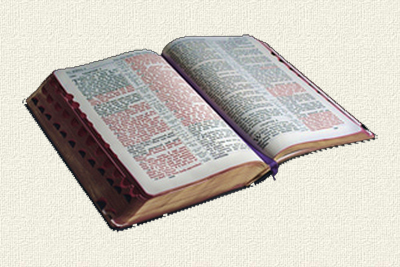 In the Old Testament, he is also referred to as the Spirit, the Spirit of God, and the Spirit of the Lord. 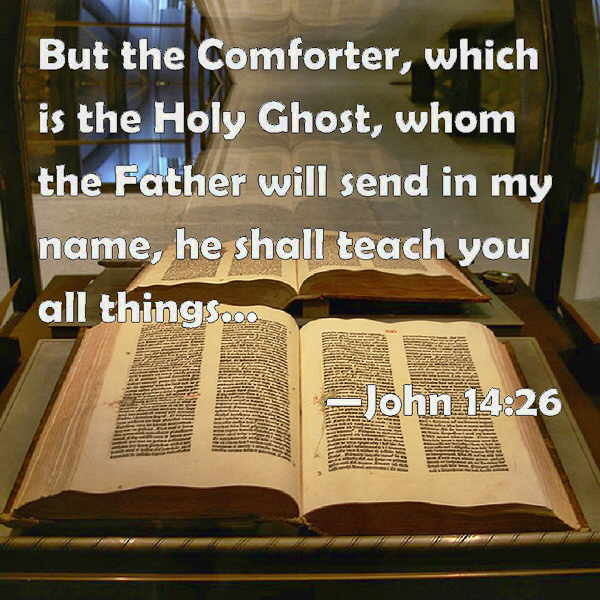 In the New Testament, he is sometimes called the Spirit of Christ. The Holy Spirit caused the virgin Mary to conceive (Matthew 1:20), and at the baptism of Jesus, he descended on Jesus like a dove. On the Day of Pentecost, he rested like tongues of fire on the apostles. 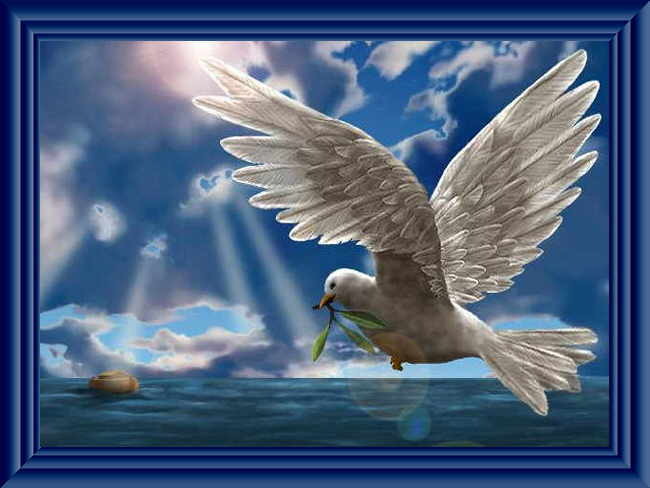 In many religious paintings and church logos, he is often symbolized as a dove. Since the Hebrew word for the Spirit in the Old Testament means "breath" or "wind," Jesus breathed on his apostles after his resurrection and said, "Receive the Holy Spirit." (John 20:22, NIV). He also commanded his followers to baptize people in the name of the Father, Son, and Holy Spirit. 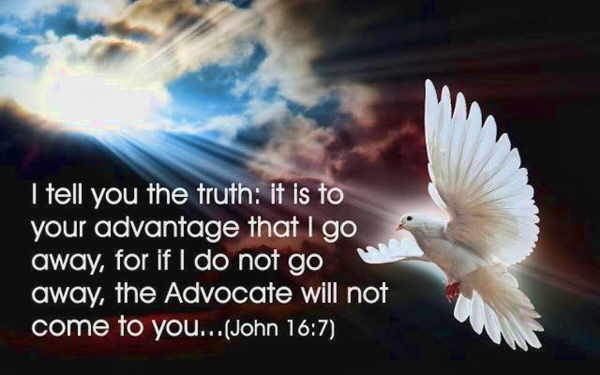 The divine works of the Holy Spirit, both in the open and in secret, advance God the Father's plan of salvation. He participated in creation with the Father and Son, filled the prophets with the Word of God, assisted Jesus and the apostles in their missions, inspired the men who wrote the Bible, guides the church, and sanctifies believers in their walk with Christ today. He gives spiritual gifts for strengthening the body of Christ. 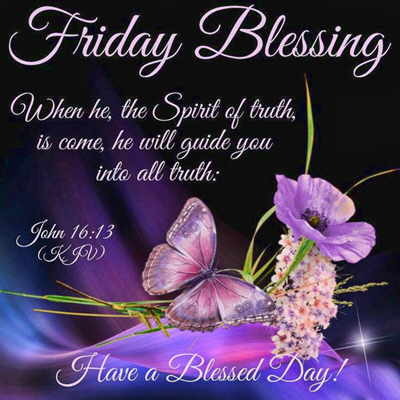 Today he acts as Christ's presence on earth, counseling and encouraging Christians as they battle the temptations of the world and the forces of Satan. 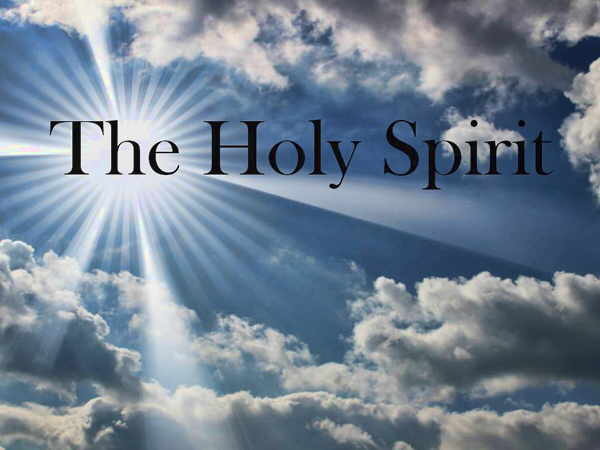 Strengths of the Holy Spirit: The Holy Spirit's name describes his chief attribute: He is a perfectly holy and spotless God, free of any sin or darkness. He shares the strengths of God the Father and Jesus, such as omniscience, omnipotence, and eternality. Likewise, he is all-loving, forgiving, merciful and just. Throughout the Bible, we see the Holy Spirit pouring his power into followers of God. When we think of such towering figures as Joseph, Moses, David, Peter, and Paul, we may feel we have nothing in common with them, but the truth is that the Holy Spirit helped each of them change. He stands ready to help us change from the person we are today to the person we want to be, ever closer to the character of Christ. 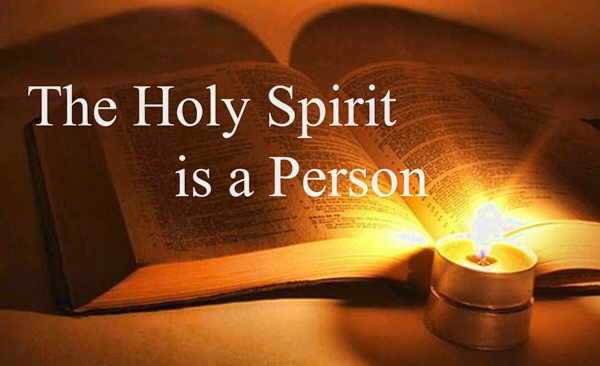 The Holy Spirit is the third Person of the Trinity and undoubtedly the least understood member of the Godhead. Christians can easily identify with God the Father (Jehovah or Yahweh) and his Son, Jesus Christ. The Holy Spirit, however, without a body and a personal name, seems distant to many, yet he dwells inside every true believer and is a constant companion in the walk of faith. When we talk against the Holy Spirit, we are talking against God! 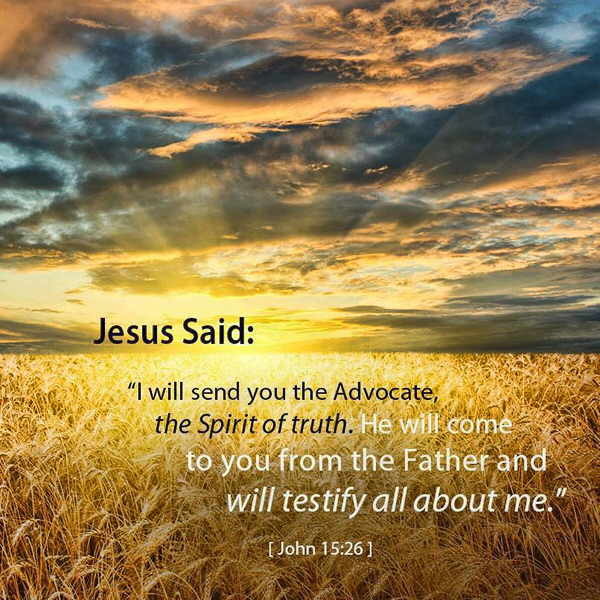 26"When the Counselor comes, whom I will send to you from the Father, the Spirit of truth who goes out from the Father, he will testify about me. 2In my Father's house are many rooms; if it were not so, I would have told you. I am going there to prepare a place for you. 4You know the way to the place where I am going." 7If you really knew me, you would know my Father as well. From now on, you do know him and have seen him." 9Jesus answered: "Don't you know me, Philip, even after I have been among you such a long time? Anyone who has seen me has seen the Father. How can you say, 'Show us the Father'? 10Don't you believe that I am in the Father, and that the Father is in me? The words I say to you are not just my own. Rather, it is the Father, living in me, who is doing his work. 19Before long, the world will not see me anymore, but you will see me. 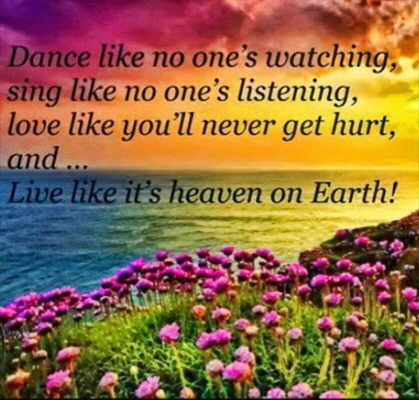 Because I live, you also will live. 21Whoever has my commands and obeys them, he is the one who loves me. He who loves me will be loved by my Father, and I too will love him and show myself to him." 24He who does not love me will not obey my teaching. These words you hear are not my own; they belong to the Father who sent me. 25"All this I have spoken while still with you. 27Peace I leave with you; my peace I give you. I do not give to you as the world gives. Do not let your hearts be troubled and do not be afraid. 28"You heard me say, 'I am going away and I am coming back to you.' If you loved me, you would be glad that I am going to the Father, for the Father is greater than I. 29I have told you now before it happens, so that when it does happen you will believe. 31but the world must learn that I love the Father and that I do exactly what my Father has commanded me. "Come now; let us leave. 1"I am the true vine, and my Father is the gardener. 2He cuts off every branch in me that bears no fruit, while every branch that does bear fruit he prunes so that it will be even more fruitful. 5"I am the vine; you are the branches. If a man remains in me and I in him, he will bear much fruit; apart from me you can do nothing. 6If anyone does not remain in me, he is like a branch that is thrown away and withers; such branches are picked up, thrown into the fire and burned. 7If you remain in me and my words remain in you, ask whatever you wish, and it will be given you. 9"As the Father has loved me, so have I loved you. Now remain in my love. 14You are my friends if you do what I command. 18"If the world hates you, keep in mind that it hated me first. 20Remember the words I spoke to you: 'No servant is greater than his master.' If they persecuted me, they will persecute you also. 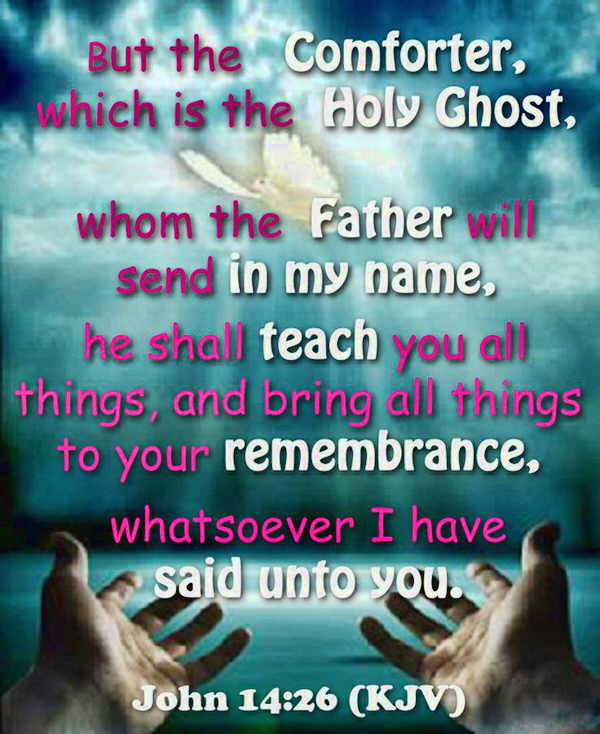 If they obeyed my teaching, they will obey yours also. 21They will treat you this way because of my name, for they do not know the One who sent me. 22If I had not come and spoken to them, they would not be guilty of sin. Now, however, they have no excuse for their sin. 24If I had not done among them what no one else did, they would not be guilty of sin. But now they have seen these miracles, and yet they have hated both me and my Father. 27And you also must testify, for you have been with me from the beginning. 1"All this I have told you so that you will not go astray. 2They will put you out of the synagogue; in fact, a time is coming when anyone who kills you will think he is offering a service to God. 6Because I have said these things, you are filled with grief. 7But I tell you the truth: It is for your good that I am going away. Unless I go away, the Counselor will not come to you; but if I go, I will send him to you. 11and in regard to judgment, because the prince of this world now stands condemned. 12"I have much more to say to you, more than you can now bear. 17Some of his disciples said to one another, "What does he mean by saying, 'In a little while you will see me no more, and then after a little while you will see me,' and 'Because I am going to the Father'?" 18They kept asking, "What does he mean by 'a little while'? We don't understand what he is saying." 19Jesus saw that they wanted to ask him about this, so he said to them, "Are you asking one another what I meant when I said, 'In a little while you will see me no more, and then after a little while you will see me'? 21A woman giving birth to a child has pain because her time has come; but when her baby is born she forgets the anguish because of her joy that a child is born into the world. 22So with you: Now is your time of grief, but I will see you again and you will rejoice, and no one will take away your joy. 24Until now you have not asked for anything in my name. Ask and you will receive, and your joy will be complete. 26In that day you will ask in my name. I am not saying that I will ask the Father on your behalf. 27No, the Father himself loves you because you have loved me and have believed that I came from God. 29Then Jesus' disciples said, "Now you are speaking clearly and without figures of speech. 30Now we can see that you know all things and that you do not even need to have anyone ask you questions. This makes us believe that you came from God." 31"You believe at last!" Jesus answered. 32"But a time is coming, and has come, when you will be scattered, each to his own home. You will leave me all alone. Yet I am not alone, for my Father is with me.